"Having worked as an electrical engineer myself in the communications industry, I realized that there was a missing link between PC board design and electrical engineering. Clear River Tech provides that link. Imagine giving your design to someone that actually approaches the problem from the same viewpoint that you do! Someone that understands summing junctions, one-shots, ground bounce, decoupling, differential pairs, terminations, and controlled impedance. This concept is key to having a successful product for your company. We look at the whole picture, not just our little piece. Clear River Technical Services is just that.... services! NO fluff! We are success oriented individuals that are fair, honest, and hard working as well as creative, experienced, and extremely good at what we do! When you find that you need that level of service at your company, please feel free to contact us at sales@crtscorp.com." Clear River Tech was started in 1993 under the name Tech Ltd. as a result of the recognition of certain needs in the industry for PC design services that incorporated both mechanical and electrical knowledge. Clear River Tech has formed strategic partnerships with other associates with similar goals and missions. In 1998, we incorporated as Clear River Technical Services Corporation. Clear River Tech commits to customer needs and can take a functional requirement and turn it into a manufacturable product that takes into account volume, testability, and profit margin. We have served the New England area since 1993 and have expanded our business area to include the mid-atlantic area, the west coast and international forums. We are committed to keeping the customer satisfied. Our new approach to PC design alone helps to expedite designs that is generally unheard of in the industry. Our pricing is fair and we think that you will see us for what we are....an unbeatable value! 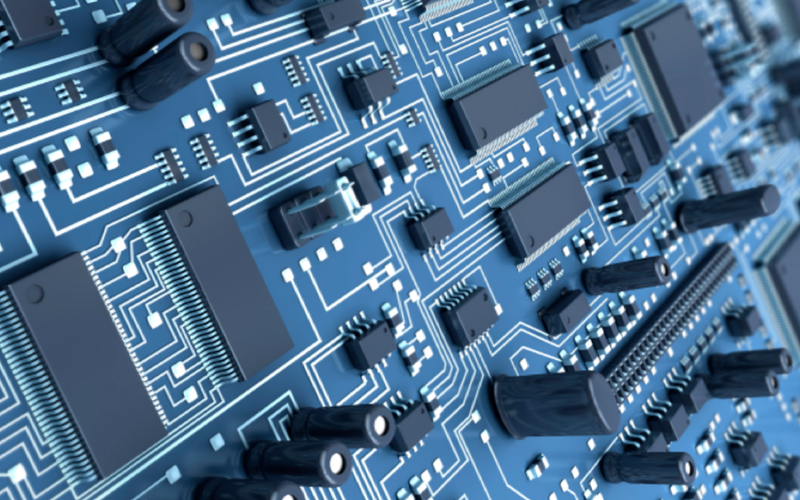 providing development and prototyping services to the electronics industry. Whether you need a from-scratch circuit design or tracking down noise in your hardware, we have you covered. Questions that weren't answered here? What do we need for a PCB quote? A Bill of materials, mechanical drawing, a schematic, and a list of special rules such as keep out areas or electronic high performance needs. If we're so good, why do we recommend you checking our work? Do we have confidence in ourselves and our abilities? The answer to that is yes! But we may interperet a requirement differently. The design of all custom printed circuit cards is the responsibility and under the control of the purchaser. Clear River Technical Services Corporation is not responsible for the detection of customer engineering design errors. Clear River Technical Services Corporation warrants only that the printed circuit designs are in accordance with standard design practices. If a finished artwork does not meet the requests as set forth by the purchase order or other such agreement between Clear River Technical Services Corporation and the purchaser, then Clear River Technical Services Corporation shall rework and replace the deliverables at no extra cost to the purchaser. Clear River Technical Services Corporation’s liability for any loss or damage shall be limited to the rework or replacement of deliverables in accordance with the above warranty policy. Clear River Technical Services Corporation shall have no liability for any direct, indirect, or consequential cost, loss, or damage. In addition, Clear River Technical Services Corporation shall use its best effort to comply with the delivery terms and/or conditions set forth by the purchase order, however, in the event that these conditions cannot be met, Clear River Technical Services Corporation shall have no liability for any direct, indirect, or consequential loss incurred by the purchaser. The purchaser must notify Clear River Technical Services Corporation of any defective material within 30 days of delivery. Failure to do so will constitute acceptance of the product and relieve Clear River Technical Services Corporation of any liability and obligation for rework or replacement. What deliverables would I get for a PCB Design? What do you need to quote a job? Everything else requires a fair amount of interaction with the customer. Contact us by phone or by email. Clear River Technical Services' mission is to be a part of your design team, contribute our experience, offer our suggestions, rattle off ideas, and work with you on your project as opposed to the "job shop mentality". Simply put ..... We love what we do! We're totally solution oriented and committed to the idea of concurrent engineering. One designer for the entire process. Remote viewing and virtual meeting capabilities. Custom designed macros and script file to save you time. Databases are a standard part of the doc package. Everything needed for FAB and Assembly included as standard part of doc package. What is Clear River Tech's design philosophy? Simply this ... to offer to our customers the best quality and value available in design services. We're available for all types of projects right now. The best part about working with CRTS is that they are not just a Layout House but that they provide additional engineering resources to our organization. We can always count on CRTS to adhere to our demanding schedules and deliver the completed jobs on time. Russound has been using CRTSC over the last two years and will continue to do so for many years to come. CRTSC has provided Russound with designs that have met all of our expectations and more. The speed and technical advice that CRTSC has provided our company is exceptional. John Cronk / Hardware Engineering Manager / Russound, Inc.
We have been using Roy and his team at Clear River Technologies for many years. He is one of the rare PCB designers that still understands the unique requirements of audio design and knows how to allow it to co exist with the ever increasing digital circuitry without any degradation in audio performance. I highly recommend his work! Andy Lewis / Director of Product Management / Russound, Inc. Since I first engaged them over seven years go, Clear River Technical Services has consistently produced quality PCB designs that were always delivered on schedule. They work closely with my engineers and often find mistakes or issues that would have cost me time and money to identify and correct otherwise. I won't use anyone else for my PCB designs. I think what I most appreciate about CRTS is that they take such an active approach to board layout. They ask questions on all levels – from system down to detailed and serves as another experienced engineer in the design checking process. Just having them understand the problems going from schematics to layout is what I expected – having them go beyond that tells me their dedication to the customer's success. We at R.E. Prescott Co., Inc. had a problem. Our control board was having intermittent noise problems and was causing a LOUD concern with our customers. The solution for us was to delete the item from our product line or redesign it! We were put in contact with Clear River Technical Solutions! They not only understood our process clearly and quickly but, were able to make suggestions that resulted in a better product than we would have had otherwise. All of us here at REPCO would highly recommend CRTS to anyone for their quick grasp of even the most difficult processes. Perrin T. Prescott / VP Operations / R.E. Prescott Co.
Roy Laurent, of Clear River Technical Services, has been designing printed circuit boards for Tekscan Incorporated for several years now. Since I have been working at Tekscan I have had the pleasure of working with Roy on several projects. Roy's combined knowledge of system design and PCB design makes him an irreplaceable resource during the hardware design process. No matter the scope or complexity of the project, Roy provides the same top-notch quality. Roy has not only met my high expectation, but he has surpassed them everytime I have worked with him. I highly recommend Roy and Clear River Technical Services. Brian Rheaume / Hardware Designer / Tekscan, Inc. Rising Edge recently celebrated our tenth year in business. On the heels of that milestone, I would like to take the time to thank you and your staff for you continued support over the years. We owe much of our success to CRTS by getting it right the first time. As I think back to our early stages in business, so many refused our business because we were small and unknown. CRTS was the exception to the rule and eagerly took on our projects and provided exceptional service and quality product. As time has progressed and both businesses have grown, your commitment to service and quality has never wavered. Now entering our second decade in business, I look forward to continuing our relationship long into the future. Michael E. Lewis / Vice President of Engineering / Rising Edge Technologies, Inc.
We have been a Clear River Tech customer for over ten years, and they have proved invaluable to our success in the design of Atmospheric Research Instruments. 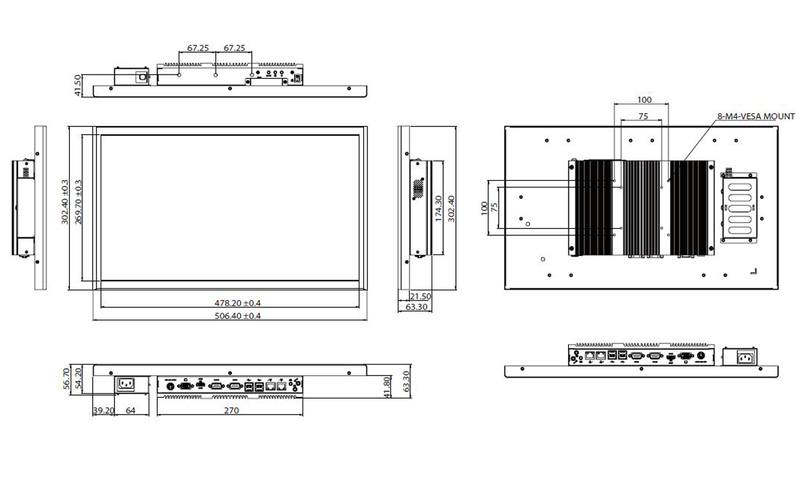 During board layout we have come to rely on CRTS's extensive engineering knowledge, achieving and exceeding the desired performance even in our extremely harsh environments. Our designs are always received with great flexibility and enthusiasm (even on tight deadlines) and are often delivered earlier than promised. Transition from schematic to PCB is always seamless and thorough, and we also benefited from their full support during board manufacturing and assembly. It is hard to sum up all the benefits of having CRTS as our board designers, but in one sentence: Our results are always successful. Thank you CRTS. I look forward to many more successful years. Roy Laurent from CRTS has been a key service provider player regarding a time pressuring military project that I have been working on in 2006 and 2007. His expertise in PCB design was crucial to the success of this particular design. This particular design had a high component count and density, required 6 layers, high current capability as well as smallest SMT technology due to limited real estate, whereas top and bottom side were populated. He did craft the layout according to design rules (EMC, EMI, RFI, current capability, thermal capability, voltage isolation, etc.) in a very fast time and was still paying attention to details. Working closely and communicating frequently with Roy Laurent, while being under tremendous pressure, he did always maintain a friendly and even paced personality. Further, Roy Laurent does have good ideas and an eye for changes that make the entire assembly of the design easier. Summarizing, I owe Roy Laurent a good deal of my success with this design. You are looking for quality and results concerning PCB artwork and layout design; then contact Roy Laurent from Clear River Technical Design for his expertise. Quotations are provided for these services. Require full engineering research and development. Proposals are provided which detail full scale of tasks, estimated costs and schedules. To submit a project, please fill in the forms below with the requested information, include any files related to the project and click submit. Please note that you can select multiple files at once. Clear River Technical Services' has flexible payment terms and methods, our most common are listed here.